Who knew a slow-burning plot could be well-paced at the same time. 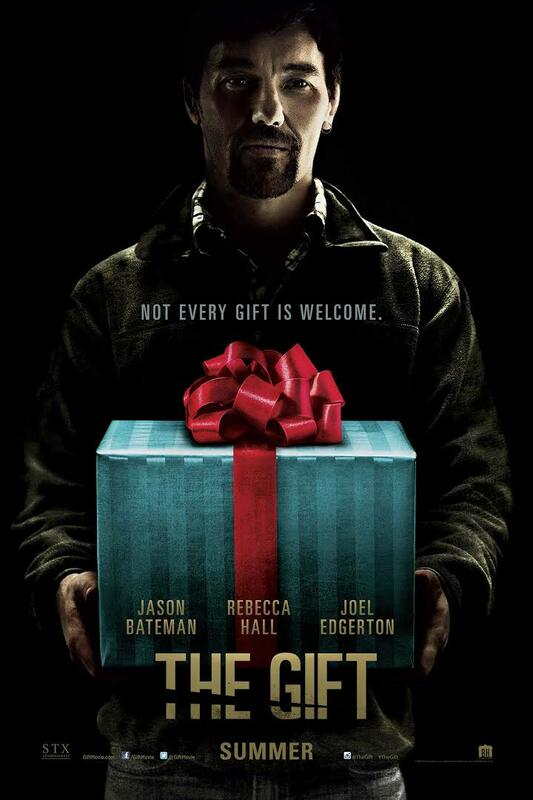 The Gift is the latest movie released by Blumhouse and performed quite well over the opening weekend. Although billed as a suspense/thriller/stalker movie, it plays as a dark drama with a few intense jump scares. Unlike many movies in this sub-genre of horror, this one is surprisingly well-directed and written. In fact, there was only one exchange of dialog that I felt was extremely OTN (“on the nose,” meaning stating the obvious). Structurally, the plot is solid and leaves very little time for the audience to grow restless. Another interesting component to the movie is being predisposed early-on to side with and feel particular ways about the respective characters; but then after some big reveals, you begin to question your allegiance and favoritism. Perhaps you may find yourself rooting for whom you first admonished. There is much that is left up to interpretation, but not in a way that leaves you feeling negatively about unanswered questions. It’s one of those horror movies that encourages you to think differently about situations and characters. The Gift is about Simon (Jason Bateman) and Robyn (Rebecca Hall) who move to LA for Simon’s new job. Relocating from Chicago, Simon and Robyn are excited to buy their new mid-century house and develop a life in a new city (which is actually childhood home of Simon). During an ordinary shopping excursion to a homewares store, the couple runs into a former high school classmate of Simon’s named Gordo (Joel Edgerton). After several conversations and a dinner invitation, Simon begins to suspect that there is something not quite right with Gordo and tells Gordo never to visit them again. Despite the harsh treatment from Simon, Gordo leaves gifts for the couple on their front porch, only some gifts should remain wrapped. Other than a couple jump scares and eerie music, the movie is more of a mystery/drama than a thriller. It lacks that visceral thrill that curdles the blood throughout the movie. But despite that, it’s incredibly well paced and written. The excellent direction did not go without notice. Often times, movies that feature the director in a principle acting roll suffer because it is very difficult for a director to focus on orchestrating the storytelling and acting at the same time. Joel Edgerton is nearly unique in his demonstrable ability to successfully tell a visual story and deliver excelling acting. My only negative critique to the writing and the directing is the blatant absence of a climax/showdown. I was expecting something big to happen toward the end of the movie, in which the culmination of all the reveals and investigations come to fruition; but I was disappointed and felt unsatisfied with the resolution. Even though this is a different take on the whole stalker concept, I feel that the plot should have included a showdown in order to add a definitive thrilling element to the story. Sometimes I think I know how a movie is going to play out; and often times, through my research and productions of my own, feel confident in my ability to read a movie through the trailer and the advertising. Not the case with this one. Honestly, I was expecting another Lifetime movie trying to make it big in the cinema (much in the vein of January’s Boy Next Door); however, I was pleasantly surprised and mostly happy with how this one played out and how well it was directed. It definitely leaves you to interpret actions, in the movie, for yourself and it also contains some very cool symbolism and subtext.